See Samsung’s up-and-coming Android tablet measured up next to the reigning champ, as we compare Samsung’s Galaxy Tab vs. the Apple iPad from a specifications perspective. What the heck is a tablet computer ? Mainstream America might never have known before Apple bushwhacked its way through technical barriers, misconceptions and skeptics stake its claim on tablet computing with the iPad. The breakthrough tablet, which Apple still struggles to keep in stock, dodged mistakes made by previous tablets by making computing with your fingers easy, relatively inexpensive , and above all, fun. But no company can dominate an entire market forever – even one that essentially created it. Having eyed Apple enviously for months, other companies are now attempting to elbow their way in on the tablet space. And Samsung is among the first to the table with the Galaxy Tab. Can the supersized version of the company’s successful Galaxy S Smartphones compete? We stacked it side by side with the Apple iPad to find out. No denying it: The iPad is a bit of a heifer. By laptop dimensions, 1.5 pounds sounds phenomenally light, but hold it in your hands for a while, and you’ll realize a 1.5-pound book starts to feel heavy fast. 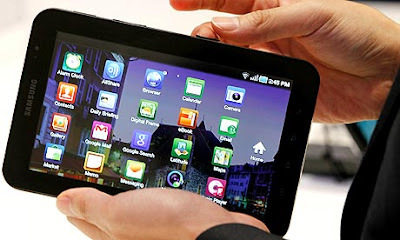 The Samsung Galaxy Tab drops weight to just 0.84 pounds, while shrinking by several inches in width and height as well, due to the smaller screen. Apple shocked audiences at its iPad launch by announcing that the cheapest iPad would go for only $499, making it one of the most affordable items in the Apple catalog. While we still don’t have full pricing information for the Galaxy Tab, rumors suggest it may be equal or potentially even higher. Rumors have pointed to €699 ($890) for the 16GB version and €799 ($1,020) for the 32GB version, and converting the pre-tax Swedish price puts it around $930. But since it’s all complete hear-say for the moment, it remains to be seen whether the Galaxy Tab will really arrive at a competitive price point. Comparing the Apple iPad and Galaxy Tab in the speed department at this point is a lot like comparing identical twins on the track: Clearly, one must be faster, but you know they’re going to be neck and neck, and they’ve yet to race. 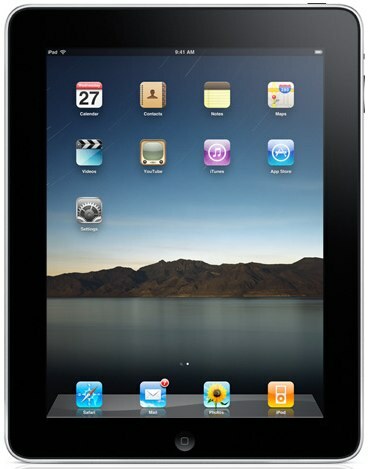 Apple’s A4 processor is derived from the same A8 Cortex CPU the Galaxy Tab uses, so they’re essentially family. In our comparison of the iPhone 4 and A8-powered Captivate, we had to declare a draw considering both seemed to excel in different areas. We’ll do the same here. 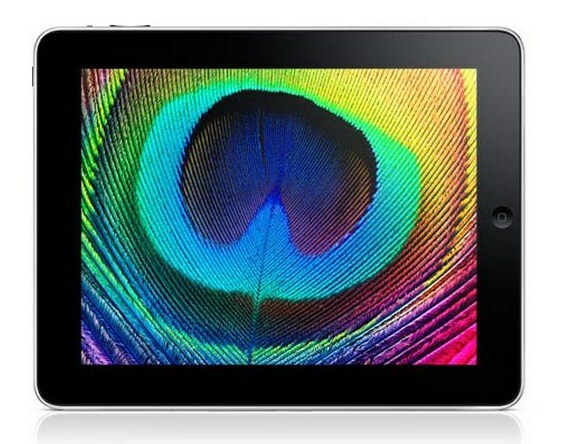 As far as LCD screens go, the iPad sports one of the best in the business. Besides efficient LED backlighting and a generous 9.7-inch span, it uses in-plane switching (IPS) technology, which gives it a viewing angle unrivalled by the cheaper twisted-nematic (TN) screens used in most other devices. The Galaxy Tab offers a 16:9 display ratio, which is preferable for watching movies, but it also reduces resolution (from 1024 x 768 on the iPad to just 1024 x 600) and shrinks to just 7 inches across. Less resolution, smaller size, and inferior technology ? I think we know which we would prefer to watch last week’s Mad Men on, thank you. At present, Apple’s App Store contains over 25,000 iPad apps, and it can also leverage any of the 225,000 iPhone apps available. Even if all 70,000 smartphone apps in the Android market play nicely with Galaxy Tab, it will remain at a severe disadvantage beside the iPad just by virtue of sheer volume. Worse, developers can be expected to develop tablet-optimized Android apps when the size and specs on each Android tablet will vary. Samsung matches the middle-of-the-line Apple iPad with 32GB of internal storage, and leaves room to match the king-sized 64GB version with a microSD slot capable of tacking on another 32GB – if you can afford the card. Which sets you up with the memory you need for cheaper? Until we know the price on the Samsung, it’s a draw, but Apple’s propensity to overcharge for memory and the continually dropping price of SD cards suggests the Galaxy Tab will be the victor. How did Apple miss the boat on adding a camera to the iPad? You’ll have to ask Steve Jobs, but Samsung apparently has itself put together a little better. 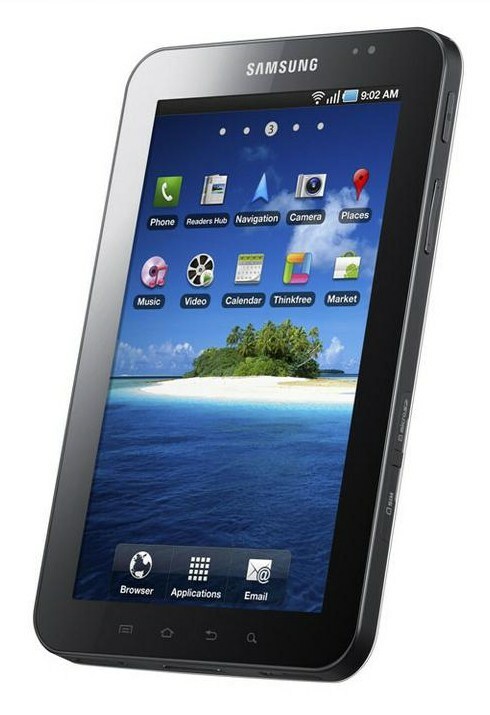 The Galaxy Tab includes both a 3-megapixel rear camera with LED flash and a 1.3 MP front-facing cam for videoconferencing. It will even capture 720p HD video. Samsung 1, Apple 0. We certainly can’t muster much praise for Apple’s choice to marry the iPad to AT&T, but we still have not a clue which carriers will pick up the Galaxy Tab. Rumors seem to swing from Verizon to Sprint and back again, even swaying into 4G territory now and then, but nothing is for certain. 4G connectivity would certainly net the Galaxy a win here, but until we know, it’s a draw. How can any device hope to compete with Apple’s legacy when it comes to music and video? Well, Flash, for one. The Galaxy Tab will support it, while the iPad infamously will not. Along the same lines, Samsung claims it will handle formats such as DivX, Xvid and WMV that the iPad does not natively support. The Tab has GSM/GPRS/EDGE along with HSPA-enhanced 3G connectivity. Both for voice and data, SMS and MMS too. The Android Froyo powered Galaxy tab is not much inferior to the iPad. Galaxy Tab is lightweight and more plastic in design. The Galaxy tab enables with the same AMOLED screenwhich is already used in Galaxy S -again which would be for reducing the price. Its 7 inch TFT display with 1024 x 600 resolutions is made for the best browsing of HD Videos. This tablet having 3 MP camera with auto-focus snapper withLED flash at the back side and 1.3 MP camera at the front side. The main function for 1.3 MP is for Video Telephony. There are two options for the built-in memory – 16GB or 32GB, which is expandable using microSD cards up to 32GB. 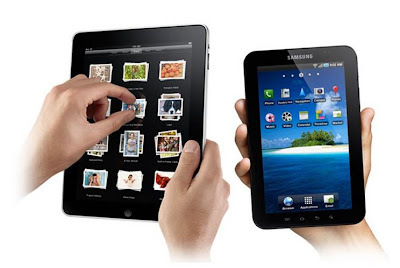 The connectivity of the Samsung Galaxy Tab is rounded off byBluetooth 3.0, Wi-Fi b/g/n and 30 pin data connector same as that of Apple. 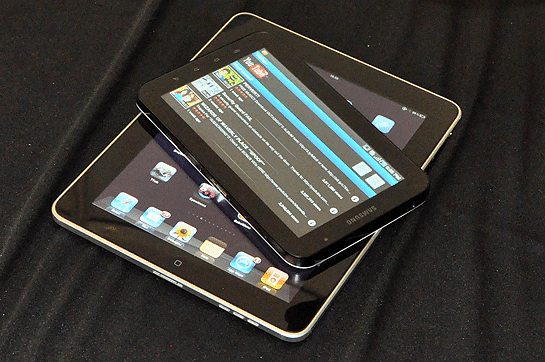 The Galaxy Tab having 1GHZ possessor with 512MB RAM which can make the background task work faster and smoother. There are some basic applications added for the users basic needs like Adobe Flash player, document editor, Microsoft Exchange. On the surface, Samsung’s Galaxy is merely a smaller iPad running Android. And truth be told, we doubt it will offer much temptation to current iPad users, who are probably too busy luxuriating in 25,000 iPad-optimized apps to notice. But look a little deeper, and you’ll find some important reasons not to dismiss the Galaxy Tab altogether. It takes photos . It videoconferences. It plays content – including Flash content – that the iPad will not.